The big question is always "HOW MUCH WILL THIS COST???" This question cannot be answered without a considerable amount of work. There are four costs that must be considered in the custom home process. Lot cost: How much does your lot cost? Site Conditions: The cost to clear trees, install the driveway, utilities, water and sewer or well and septic, grading, excavation, seeding, engineering and permits. House plans: The size, shape, roof line and many other features will affect the cost. Specifications: From excavation to move-in, we guide you through the multitude of decisions and selections. 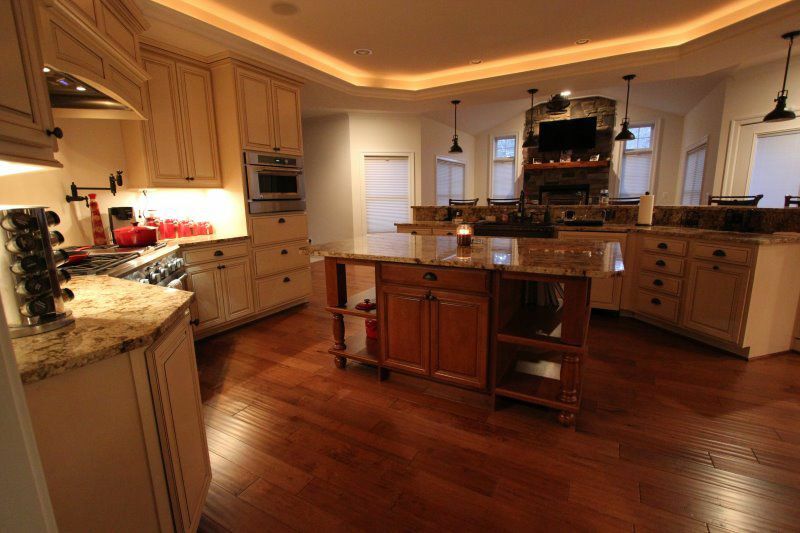 The process for building a "Custom Home” is different than anything you've experienced before. The first step is to establish a realistic budget. Be prepared to share your budget constraints with us up front. This will help us to set the expectations which will in turn make the process more efficient. If you do not have a lender, then we can recommend one of our preferred loan officers who specializes in Construction-Perm Loans. We recommend selecting your builder before you start searching for lots. We can help educate you on the pro's and con's of the area, topography, usefulness, site conditions, house site and septic systems. We will help you avoid costly mistakes. Once we know the lot cost and a good estimate for site cost, we are ready to design the home. You can choose one of our plans or meet with the designer. There is a cost associated with a design or modifications to our plans, however your first meeting with the designer is FREE! This meeting allows you to share your ideas with the designer so that he can provide a cost for your plan. Once we have the plan and specifications, we can price your new home. After the contract is ratified and loan settlement is arranged, you will receive a "Selections Package" with instructions and due dates. You will meet with our specialists in Kitchen Design, Lighting, Flooring, Home Automation among others to further customize your home. Once the site plan, septic permit and plan review are completed at the county, we pull the building permit and construction begins. You will then be introduced to your superintendent. 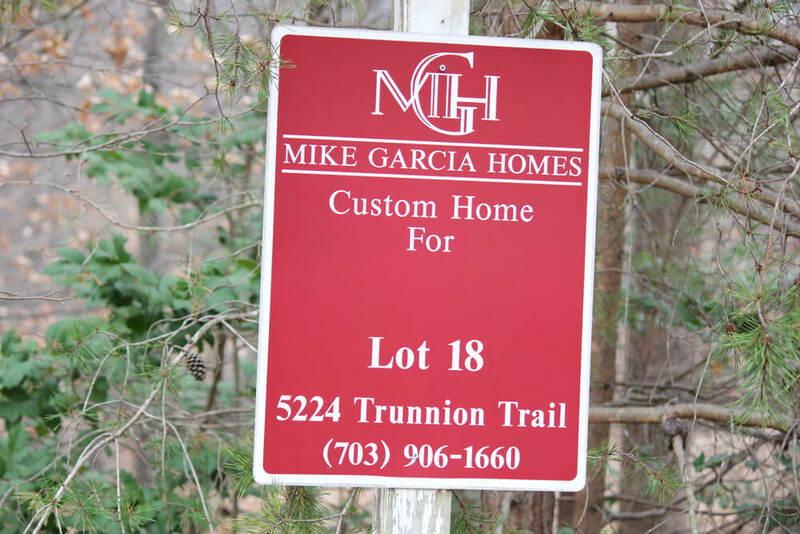 Once your home is complete, a preoccupancy walk through will be scheduled to address the final punch list items. At this time we will also provide you an orientation on the use and care of your new home. Is cost per square foot a good way to compare and choose a builder? If you choose to use cost per square foot to make comparisons, you will be assured of getting the cheapest home. 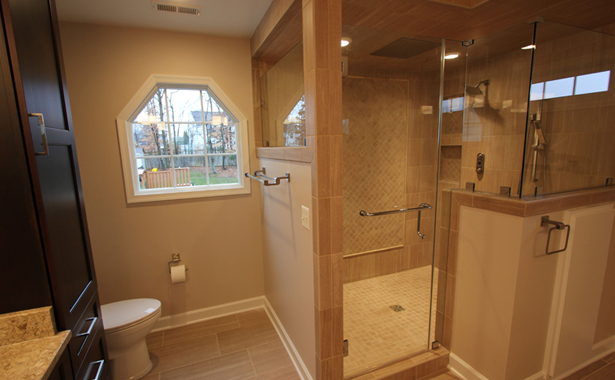 Nobody wants to waste money, but when you are making a major investment, you don't want your builder to cut corners. Making matters worse, not all builders use the same formula for computing square footage, so the numbers may be off. Furthermore, using price per square foot only works on homes with the same style, size, and specifications. 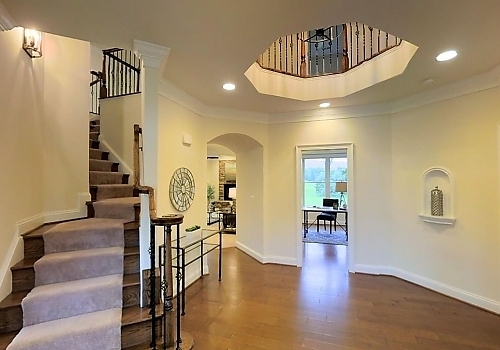 For example a two-story family room has the same square footage as a one-story room, but is more expensive. Another example is that a marble floor does not take up any more space than a resilient floor, but it also costs more. With custom homes, looking at the price per square foot makes about as much sense as comparing the price per pound. Would getting three bids on my home assure me of getting the lowest price? While getting three bids might seem to be the best way to secure a low price, it usually does not work. Unless your plans and specifications are 100% complete, builders must guess in order to complete the bid. This will leave you comparing apples to oranges. It will be impossible to determine which one is really the lowest. What often happens is that people select the least expensive builder only to find out that they do not like what the builder chose for them. By the time they have changed the specifications, the house costs more than they expected. The people who really lose out, however, are the ones who don't find out about the use of substandard quality labor and materials until after they have moved into their new home. While they worked hard to get the best price, they now discover that the house is not what they expected and the utility and maintenance costs are higher than other comparable homes. It is important to remember that the initial purchase price is only part of the true cost of owning a home. The fact is, if plans and specifications are properly drawn and executed, three competent and reputable builders will provide very similar bids. We recommend that you research the best builders and find the one that you feel you can connect with. Partner with them to determine what your budget is, select a site, design your home, secure financing, build and service your home. Building a home requires a major investment of both money and time. When comparing builders, finding a reputable builder you trust is much more important than relying on the lowest bid. Should I buy my lot and have finished plans before I interview builders? Generally it is better to work with the builder from the start for the following reasons: People often purchase an attractive property that ends up requiring extensive work in order to build a house on it. With the additional cost needed to develop the property, the home often ends up being smaller and of lesser quality than the owners had in mind. A builder can help you work through the site condition issues, ensuring that the home and property work complement each other and are within your budget. Most reputable and experienced builders have extensive knowledge and reliable contacts that can make the entire process much easier for you. They have an understanding of the market and will help you design a home that meets your needs while working with the particular site conditions and general location. 1. A Strong Reputation Check references not only of recent customers, but also of people who have lived in their homes for a number of years. Poor quality may not be apparent immediately. 2. Experience This is a major investment for you. Make certain that the builder has the experience and qualification necessary to build your home the way you want it. You don't want someone learning on the job. 3. Trustworthiness You want someone who you can trust. You will be relying on the builder to make hundreds of important decisions, and you need to be confident that he will treat you fairly. If you have the feeling that you are going to have to check everything he does, we recommend that you find another builder. 4. Financial Strength The last thing you want is to be dragged into a fight between a builder and his creditors. Before you give the builder any money, check with their bank. 5. 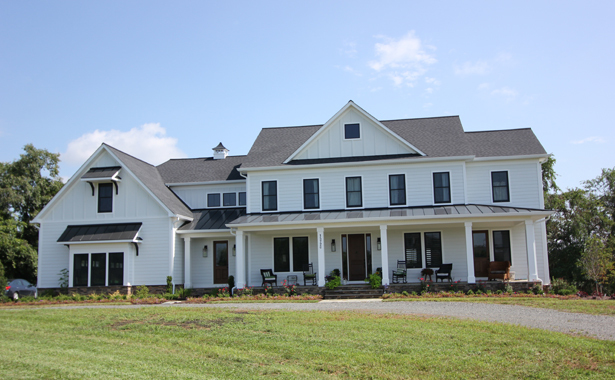 Understanding and Caring Building a custom home is a dream come true. You've probably spent years thinking about it. Now you want to work with someone who will take the time to help make your dream become a pleasant reality rather than a nightmare. You probably will change your mind during the process and the really good builders will try to work with you, while controlling costs. 6. Encourages You To Inspect Homes Under Construction When a builder is really proud of his work, he will want you to see it under construction. Look at the quality of the framing, the insulation, the plumbing, the windows, and the craftsmanship and attitude of the subcontractors. This means much more than a glossy brochure. 7. Efficient Building Process In Place Time is money. While the building process is complicated and involves hundreds of people and components, an efficient computerized scheduling system will help the process move quickly and save you money. Be suspicious of a builder who says he keeps everything in his head or on a clipboard. 8. Detailed Specifications The best builders go out of their way to make certain that you both agree on exactly what will be in the home. They would rather lose a potential customer at the beginning of the process than have a surprised or disappointed customer later. If you don't know exactly what you are getting, ask for it in writing. 9. Long Term Relationships With Quality Subcontractors Most builders subcontract out much of the actual building process. The best builders have strong long-term relationships with their subcontractors. That is the only way to maintain a high level of quality and service. Builders who constantly switch subcontractors in search of the lowest price often end up with lesser quality and longer building times. Instead of being partners in building a quality home, the subcontractors see themselves more as mercenaries, and they lack the pride that is necessary to build a great home. 10. Good Communication Part of building a home without having any unpleasant surprises is having a builder that has effective communication skills. They must be willing and able to constructively discuss any issues that may surface while building your home.